90% of Americans own at least one car, and 85% of those people use their cars to commute from home to work., according to The Nielsen Company. A survey completed by the US Department of Transportation in 2007 showed that there were about 250 million cars registered in the U.S. alone. Though the debate between foreign cars versus domestic cars will rage on for years to come, one thing we all can agree on is that we want to be able to purchase a car that is safe and reliable. Sadly, slip-ups do happen and car companies do make huge mistakes, often costing them money, customers, and sometimes lawsuits. When this does happen, a company will issue a recall in hopes to keep their customers and business above the water. In 1984, it seems that General Motors realized this importance too and quickly recalled 3.1 million vehicles, including the Pontiac Grand Pix, Buick Century, Cutlass, Monte Carlo, and many others. According to GM, all 3.1 million cars were at a high risk of having defective axle assemblies. This means that the wheels on the car or truck could just fall off at any time. Thankfully, no one was hurt because of the faulty installation and GM was able to quickly spot the problem and get it fixed. Here’s one way to take the fun out of a tailgate party really fast. In 2004, 3.6 million GM trucks (Sierras, Silverados, Escalades, and Avalanches) had issues with the tailgate cables that keep the tailgate attached to the truck itself. These cables were said to corrode easily which would then cause them to break. Over 134 accidents were reported, but most of these were at the owner or victim’s expense. GM warns all customers to not stand or sit on the tailgate, and those who reported accidents were doing just that. 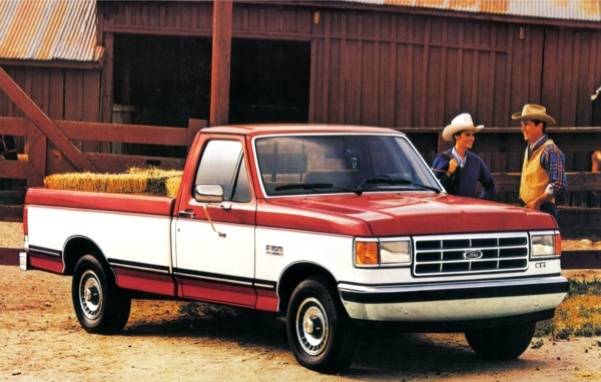 Buying gas can be a painful experience these days, but Ford owners in 1987 were really at risk. F15-350 trucks, Mercury models, Lincoln models, vans, and practically every other Ford model were leaking fuel due to a faulty fuel-line that led to the connectors, which then caused compartment fires. Of course there was a fix, but I’d imagine many owners bought a new car or forgot Ford altogether. When it’s raining or snowing, you need functional windshield wipers. When you’re going down the road and you find a bug smashed into your windshield, you need your windshield wipers then as well. Yet, in 1972, 3.7 million Volkswagen vehicles had windshield wipers that were nothing less than useless. The arms of the wipers from cars built in 1949 up to 1969 would become loose, which would cause them to not work properly, and eventually they would fall off. Fortunately, a simple replace of the wiper arms was all that was needed, and the recall wasn’t a huge hassle for those who were affected. Photo: IMCDB (Internet Movie Cars Database). After a long day at work you want nothing more than to be able to pull into your driveway, turn off your car, and undo your seatbelt, right? Releasing that thing is definitely the home stretch towards freedom. 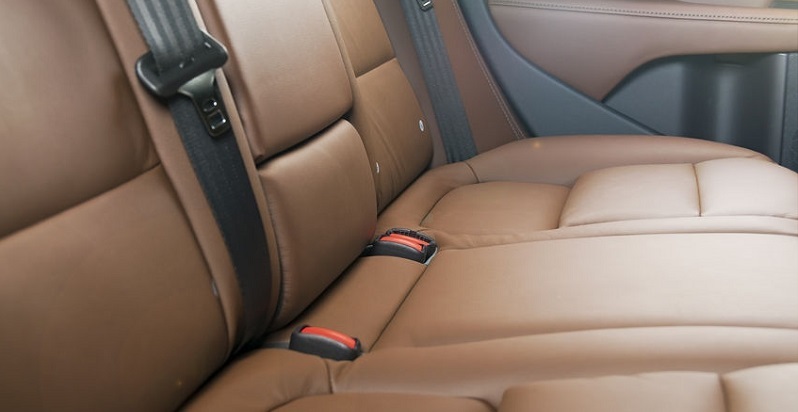 However, many Honda and Acura owners (specifically Accords, Civics, and Preludes) weren’t able to get out of their seat belts. The release button that all seat belts have would easily crack and then become unusable, leaving car drivers stuck in their car. This could really become an extreme situation if you were to get into an accident and needed to exit the car. Even on a regular day, you might not have a knife or a pair of scissors in your glove compartment, so hopefully there is someone around to help. At worst, you’re trapped: at best, you’re left with a broken seatbelt. Honda issued the recall and all of the seatbelt release buttons were replaced. Nowadays, wearing your seatbelt while driving is a law in most states, and with campaigns such as “Click it or Ticket,” those who used to dread wearing their seatbelt probably do so now. In 1972, Ford realized that the harnesses used for seatbelts in many of their vehicles, including Mercurys, Lincolns, Rancheros, were less than perfect protection. Instead, the seatbelt harness would easily fray and come loose from the metal that was used to attach it to the frame. This was a problem in 4.1 million Ford vehicles. If you’re a driver, you know the extreme importance of your steering wheel, especially when it comes time to make that final turn to get home, or even just to ensure you are staying in your lane when on the highway. However, in 1981, those who owned an El Camino, Malibu, Monte Carlo, Century, Regal, Pontiac Grand Prix, and a few other cars, risked losing control of their steering wheel. According to GM, with many of these cars, there was a chance that the suspension bolts could come loose. If they came loose at just the wrong time, there would be no way for the driver to steer. The fix was simple and all of the affected cars just needed an easy and quick suspension bolt replacement. Some drivers are what we call “lead-foots” or “speed demons,” while others seem to prefer to stay under the speed limit. In any case, most of us speed because well…we can, but imagine your car suddenly speeding without your say in the matter. This is exactly what happened in 1971 to 6.7 million General Motors vehicles. Somehow, an engine mount within the car separated due to a deterioration of the rubber placed between them, which then lifted and pushed down on the throttle. This then caused the vehicles to hit some really high speeds. At the time several GM automobiles, mainly Chevrolets, were affected: the Camaro, Chevy II, Impala, Nova, Belair, and many others. All of the cars were manufactured from 1965-1969 and in the end those that were affected had to pay around $30 for a quick fix. Wow, I had one of those VWs and a Ranchero, both at the same time! A testament to the half-wits who work in the american automotive industry. what about the early 90’s Firestone tires on Ford Explorers that would fall apart? wasn’t that a massive recall? FIrestone TIRES were recalled, but the vehicles were fine. You just can’t change tires without bringing in the car itself. The tires were safe if inflated to the tire manufacturer’s specification, but not if under-inflated to the car manufacturer’s specification. It seems like Ford and General Motors showed up on this list a lot. Ford and GM sell many cars.